Add a touch of elegance when working or reading on the go with this laptop desk. Ultra-portable, lightweight laptop table that transforms your laptop into an ergonomic workstation. The hard top helps keep the laptops cool by allowing the laptop's fan to circulate air. 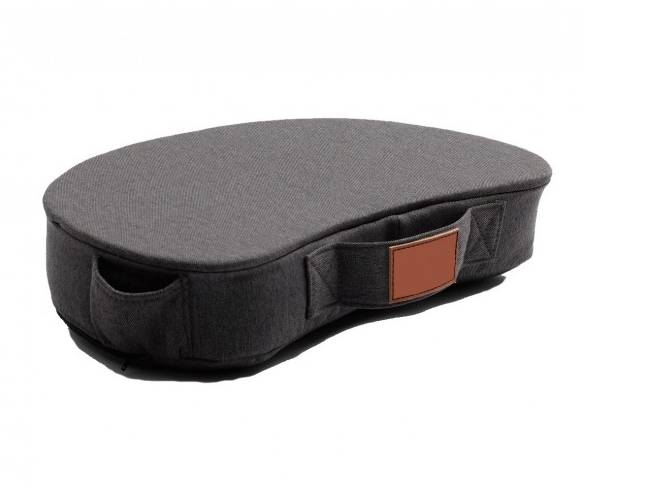 The bottom is filled with beads that take the shape of your lap giving you an extra level of comfort and stability. Size : 20" x 13" x 5"